Measuring your blood pressure at home and keeping a record of the measurements will show you and your doctor how much your blood pressure changes during the day. Your doctor can use your record of measurements to see how well your medicine is working to control your high blood pressure. Also, measuring your own blood pressure is a good way to take part in managing your own health and recognizing changes. 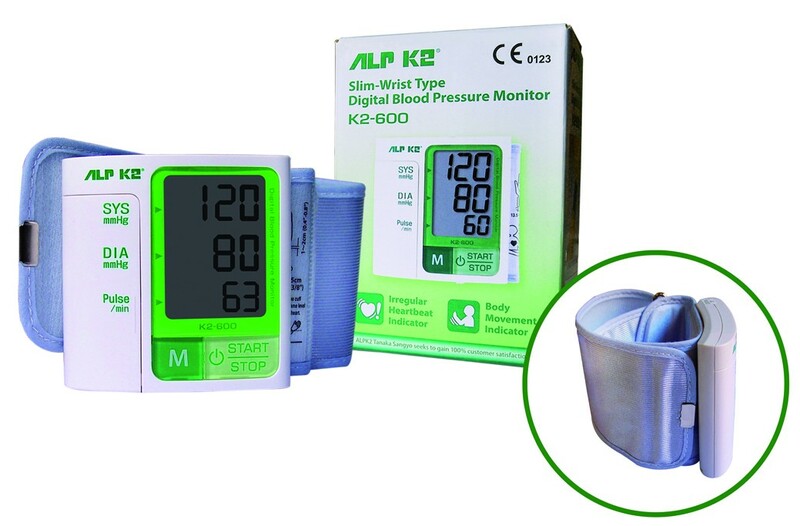 Automatic Blood Pressure and Pulse Monitor. IQ System – rapid and convenient measurement without sacrificing accuracy. Automatic valve for fast and slowly cuff deflation. Indicator: 13 digit liquid crystal display. Measuring range:- 50 to 250mmHg (systolic).- 40 to 180mmHg (diastolic).- 40 to 160 pulse/min (Pulse rate). Accuracy:- +/- 3 mmHg (Cuff pressure).- +/- 5 % of reading (Pulse rate). Deflation: Automatic (Electric control valve). Exhaust: automatic quick exhaust valve. Power supply: 2 x AAA alkaline type (LR03) dry cell. Memory: 60 measurements + average valve. Applied pressure: 180 mmHg (fixed). Operating environment: +10° to + 40°C, 85% relative humidity or below. Storage environment: -5° to +50°C, 85% relative humidity or below. Cuff- Type: Pre-formed type cuff.- Wrist circumference: Approx. 125 to 205mm. Main Unit- Size: 64(W) x 66.5(H) x 30.4(D) mm.- Weight: Approx. 125 g, including alkaline batteries.